Laserax launched its exclusive patent-pending shot blast resistant laser marking process at the 2018 Die Casting Congress & Exposition, which took place in Indianapolis, IN. The laser system components for shot blast resistant marking will depend on our clients’ needs. It usually includes a safety enclosure, the laser, a HMI (human-machine interface) and an in-house designed vortex system. Click HERE to view/download spec sheet. Click HERE for information about Mercury Marine. Click HERE for information about Cascade Die Casting Group. 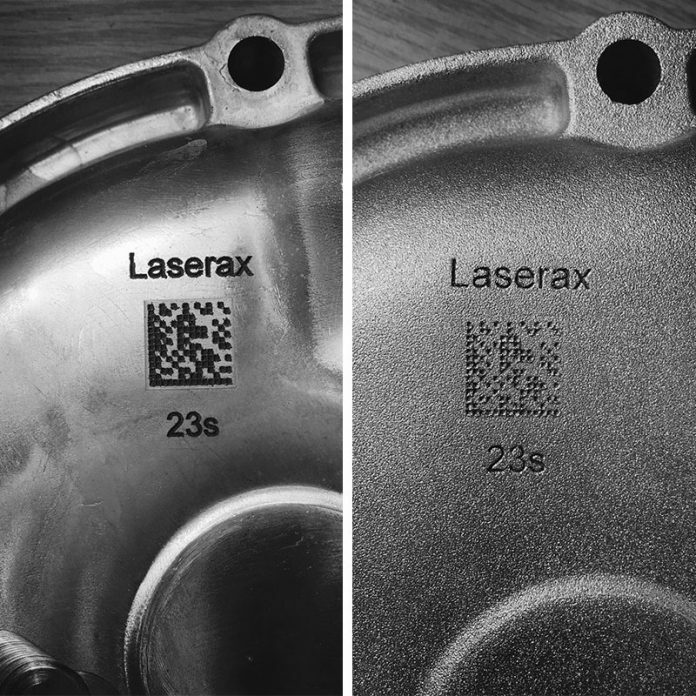 Click HERE for Shotblast Resistant Laser Marking Web. Click HERE to visit the Laserax blog.